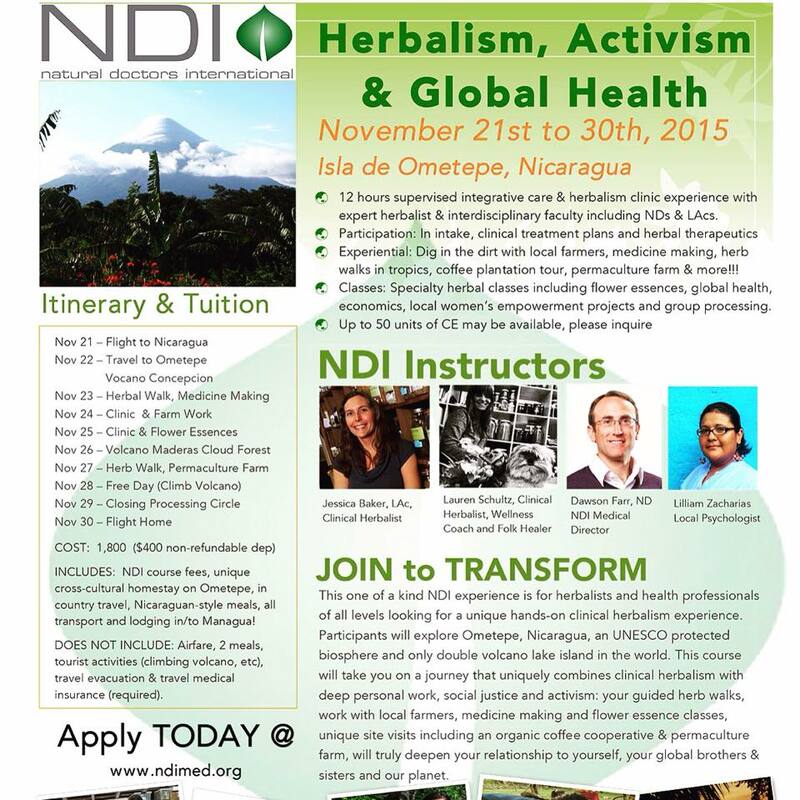 “Join us on a life changing experiential educational delegation focused on global medicine, activism and transformation. This 10 days will be filled with the perfect balance of education, clinical experience, medicine making and plant walks. All costs of this trip go directly to fuel all community based programs including a free clinic of natural medicine on the island of Ometepe Nicaragua!!!! Natural Doctors International is an NGO committed to not only making natural medicine accessible in the world but making lasting global change in the field of medicine!!!! Be the change!!! !